Last year Malta was marked by the triumph of developers, conspicuous privatization plans and the steadily growing media attention to ‘arts and culture’. Curiously, in spite of the seeming attempts to popularise the latter topic, various articles concluded that there is a public indifference to arts and culture in Malta. Instead of proving or denying these allegations, let us first figure out whether the general public has an unobstructed access to the arts locally. In speaking about the way local art is experienced, the first question is where to find it. In Malta, only a few places such as Spazju Kreattiv at St. James Cavalier and MUZA (still in the making, previously, National Museum of Fine Arts) welcome the general public. Other than that, contemporary artworks are displayed at art events, of which there are plenty. Most frequently, art is showcased at private exhibitions and book launches which, by default, imply their secluded or commercial nature. As far as genuine contemplative interest is concerned, socialising around the artists and their art lacks the opportunity for intimate and solitary engagement with artworks. In a small, densely populated country like Malta, a person usually meets artists before their works, unlike in the majority of larger countries where pieces can be seen as anonymous and independent from their creators. This either results in a few fan clubs surrounding the artist or, on the contrary, the audience rejects the works straight away because they are repelled by the artist’s persona (or by her/his political views). Had he lived and created in Malta, with his reportedly bad temper, Picasso would have never gained any recognition for his works locally in such proximity to the potential audience. Mixing art with the artist’s personality does a disservice to the works since it pre-conditions seeing them as personifications of their creator. In the essay “Death of the Author“, Roland Barthes points out how interpretations of a work should not be reduced to seeking answers in the author’s personal experiences. Regarding artworks as direct expressions of the artist’s personality inevitably turns them into a dull and limited subject, as the artist’s personality is hardly more important than anybody else’s. As for an artist, art is a source of income. In the context of art business, an artist produces goods of a potentially high market value. This makes art a prestigious job. Self-promotion at events and on social media is intended to add value to the artist’s personality and to establish them as a brand in order to facilitate the sale of their intellectual property. However, it would be unfair to blame artists for self-promotion since it is a necessary evil for making a living in a neoliberal society where literally everything is a commodity. Another aspect of experiencing art at social events is the type of crowd which attends them. 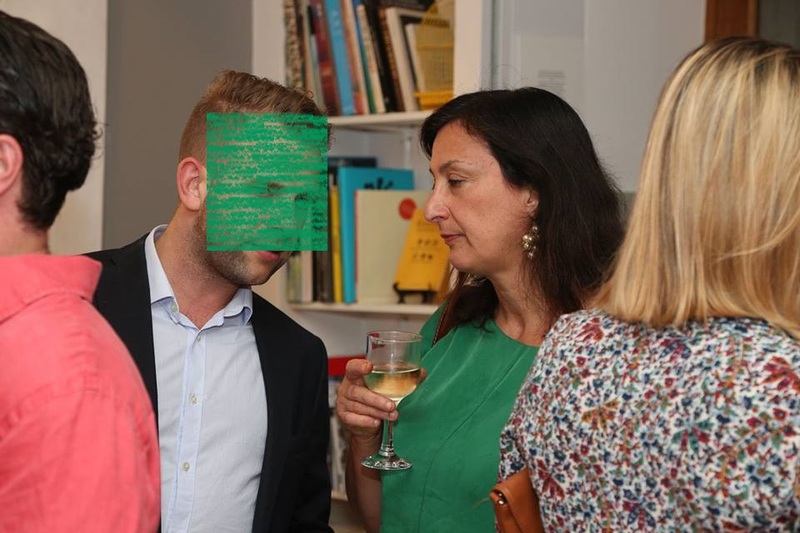 In fact, attempts to evaluate public interest in art and culture by attendance of exhibition openings and book launches inevitably end in misleading results. In a country where just about anything is interpreted in the context of political affiliations and class symbolism, events-going is another political and social statement which has little, if at all, to do with the art. The art scene in Malta shares many common traits with the local politics: the lack of transparency, nepotism and being personality-driven, to name a few. Openings of exhibitions are little spectacles of cult where it is expected of attendees to praise the artist (“prosit, keep it up!” or “this is so interesting!”). The act of launching a personal exhibition is a manifestation of creative net worth which, sadly, overshadows the works. The complicated web of social interactions which surrounds arts in Malta is one of the many obstacles between artworks and the public. Who in their right mind would attend an event where they are unwelcome and marginalised? Finally, ‘interest in arts’ is a traditional privilege of the upper- and middle-classes. Replicating the conventions of the privileged by flaunting art awareness and art consumption is a sure way to affirm or to boost the social status. Meanwhile, the low attendance of the art events by the general public – that is, the majority whose professional and consumption interests are not directly linked to the arts – is used to justify a few people’s claims on exclusive monopoly on understanding and valuing ‘true’ art. As many other expressions, arts preferences is another opportunity to insulate the ‘true’ art-appreciating social bubbles (‘pedigrees‘) from the village festa fans (‘peasants’). Alas, socialising around the arts feels like a perpetual “You Are What You Buy” performance. Sadly, we all are evaluated on the basis of prestige of our consumption preferences. So it happens that the prestige of art consumption is incomparably higher than that of fast food. the middle-class art producers, art dealers and intellectual consumers. The art circles’ membership is available to the candidates with the right family background, the right occupation, the right dressing style and, as suggested by the G Plan exhibition, the specific taste in furniture. Although the pathway to contemporary arts is barricaded by snobbery, foreigners might be awarded a bonus pass. Let’s not be fooled by appearances: to art dealers and art consumers, art is a special kind of Big Mac, with the only difference in the price and the resale possibility. Keeping to their little well-insulated circles, the art-following crowd seems unwilling to ditch snobbery in favour of welcoming the ‘dark unenlightened masses’ to ‘arts and culture’. Their main interest is in guarding their trademark of ‘© cultured’. In theory, newspaper culture columns are meant to spark public interest, yet it is not quite so in Malta. Given that the attendance of (and attention to) the events is driven primarily by the social and political factors and not by the content displayed, the reviews turn into a redundant formality. As long as the local art scene remains personality-driven, the critics do not have an opportunity for honest criticism because it may result in a personal grudge (or even a conflict), capable of provoking a greater isolation between the little art fan clubs and bubbles. The lack of honest criticism is quite unhealthy for both, boosting genuine public interest and challenging professionalism of the artists. The limited opportunity for honest criticism forces culture journalists to report the activities of their close circle of friends whose works can be acclaimed with a clear conscience. At the same time, this still does not help the reviews to be seen as credible and unbiased. The conclusion is: with a seeming purpose of stimulating the public’s interest, the reviews are written by the art crowd, for the art crowd. Also, in a personality-driven environment where critics too are ambassadors of the arts, a critic’s persona often receives more attention than her/his professional merits. Thus, positive reviews by a critic, who is known to be personally unpleasant or politically opinionated, might discredit an artwork in the eyes of the public, no matter how valuable and engaging it is. In such circumstances, arts reporting has a chance of attracting public attention only if the ‘Maltese artist exhibits abroad’ formula is applied. Then, it is the sense of patriotism, not the content, which is celebrated. ‘Interest in art’ cannot be treated as a phenomenon of its own, unaffected by the social interactions surrounding it, because there is simply not enough distance between the artists and the critics, on one hand, and between the artists and the audience – on the other. Not all is dark and hopeless about experiencing the visual arts in Malta. Unlike the pretentious rubbish displayed at many private exhibitions, these works are the stunning examples of art with a meaning. Spared from snobbery, they are anonymous, harmonious with their physical environment and for everybody to contemplate on. 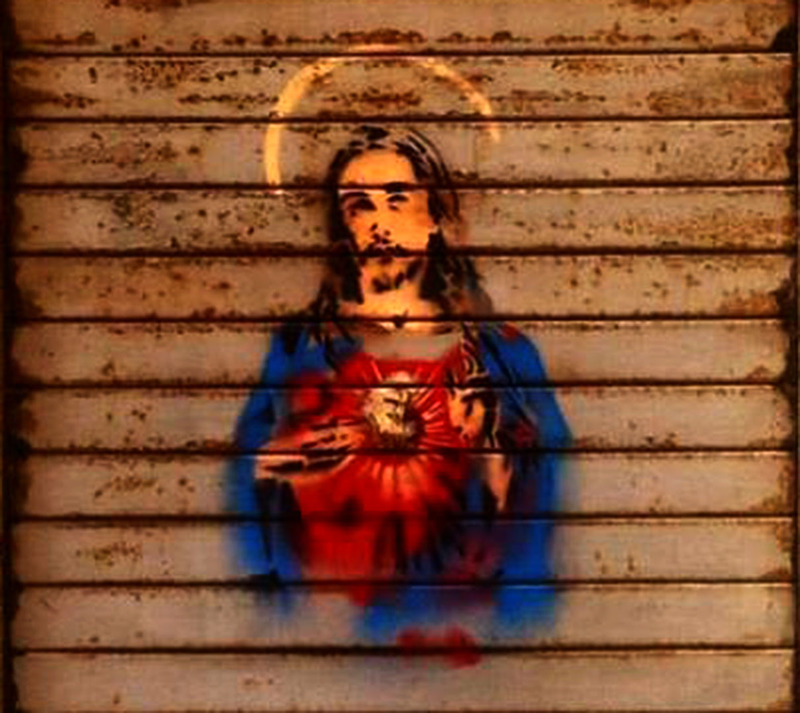 “Euro Jesus” by Twitch is a spot-on profile picture of Malta 2016. 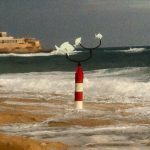 Hypnotising and meditative, the wind vane at Exiles beach by The Rubberbodies Collective is a tribute to Sliema’s past serene relationship with the stories of fishermen, wind and sea (isn’t it ironic that the excellent article about the public project is part of the Times of Malta paid content?). 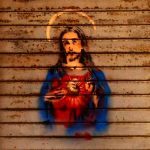 It is safe to conclude that the popular cries about the lack of ‘care for art’ in Malta do not refer to the to the lack of spiritual devotion but to the particularities of events-going and the lack of prestigious art consumption. In this context, it is profoundly hypocritical to expect ‘care’ for contemporary art from the members of society who are not only discouraged from attending the events but who are also not accustomed to value this kind of art since they are unable to approach it and to purchase it. Surveying sentimental care for art is as intrusive as evaluating love. 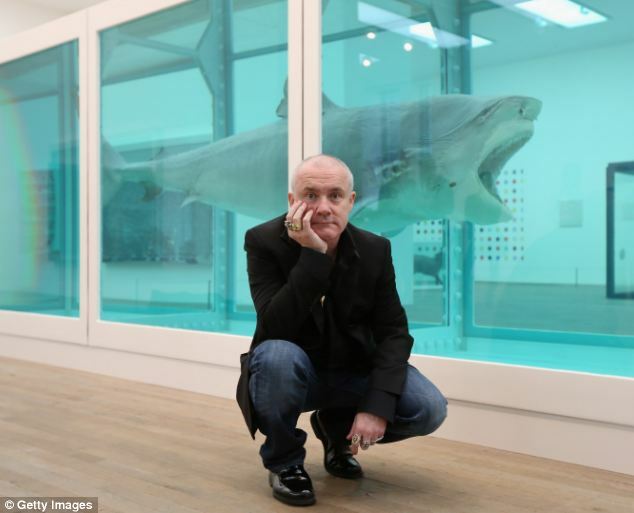 In a broad sense, everyone has a tender relationship with an art object – be it a photograph, an altarpiece, a graffiti, a Valletta corner statue, a firework or a pickled shark by Damien Hirst. And if love is a deeply personal choice, educating people on which kind of art is right to love is not unlike the ‘gay cure’ therapy (thankfully, banned now). To paraphrase the statement in the article in MaltaToday, “it’s your pocket we’re after, not your heart”. The art crowd indirectly admits: art is just an enterprise. And if this enterprise fails to provide space for greater social cohesion, why is the public expected to hold it in a higher esteem than any other occupation? 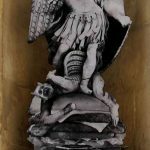 While personal tastes are entirely up to individuals to pursue, the claims that ‘interest in the arts’ is to be given a paramount status of national importance should be followed up by boosting public arts venues and arts displays in public spaces – squares, gardens, streets, beaches and schools. Yet, the opposite is being done by giving these spaces away for private development – which ensures not only a poor access to the arts, but a general drop in living standards. Connect to Malta Sketches Facebook page if you like to read more analysis of Malta. Here is more about prestige of consumption preferences.